It is estimated that between 6 and 30 percent of hospitalised people aged 65 years and older are dehydrated. Dehydration in seniors is a problem that requires more research and understanding. Why are Seniors More at Risk of Becoming Dehydrated? Water makes up about 55 to 65 percent of your body. It is more than simply a fluid that keeps us feeling energised and healthy. It is a vital ingredient in the chemistry that helps your brain think, your muscles move and your blood flow. During the ageing process, our body water content gradually. Shockingly, it is estimated that our body water content decreases by approximately 15% between the ages of 20 and 80. 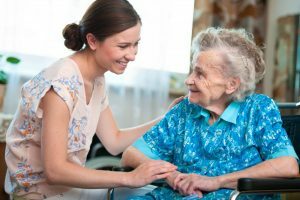 Are you currently taking care of a senior? Post a new question on our forum to share your experience and tips with others. There are many factors which make seniors more at risk of becoming dehydrated. Firstly, older people are much more vulnerable to dehydration due to physiological changes in the ageing process. Seniors can often become more mentally and physically frail. 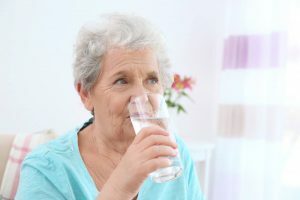 Older people often have a reduced sensation of thirst, which may be pronounced in those with Alzheimer’s disease or in those that have suffered a stroke. Due to disabilities or conditions, senior patients can develop an inability to voice his or her needs for fluids. Seniors also often have a decreased ability to detect temperature changes, which is a major risk factor for dehydration. Sadly, dehydration is among the most common forms of neglect associated with assisted living facilities. Complications with the kidneys is another reason why seniors can become dehydrated. As a consequence of ageing, the kidneys have a reduced ability to concentrate urine and retain water when they are deprived of fluids. Elements that raise the chances of kidney failure include the presence of high blood pressure, Diabetes and certain medications. As the general population continues to live longer over time, the chance of developing kidney disease is expected to grow. When you consider other potential health factors, such as a stomach virus, this can turn an otherwise healthy senior into someone who is severely dehydrated. Dehydration has also been associated with various morbidities, such as impaired cognition or acute confusion, falling or constipation. The cost associated with dehydration may be very high: a study conducted in 1999 in the US evaluated the avoidable costs of hospitalizations due to dehydration at $1.14 billion. Dr Larry Kenney, professor of physiology and kinesiology asserts “everybody has a normal state of body water that is related to their weight”. 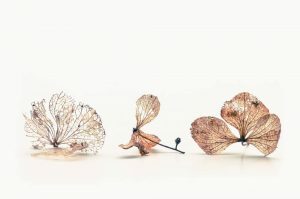 The human body is constantly in a state of losing water. If fluids aren’t replaced, the body eventually does not have enough water available to perform natural bodily functions. One major, unexpected health complications associated with dehydration is incontinence. How Does Dehydration in Seniors Cause Incontinence? There is often a misconception that urinary incontinence won’t occur if a person with OAB severely limits their fluid intake. The truth is that not drinking enough fluids can cause distress to the bladder and worsen OAB symptoms. Not drinking enough liquid can actually cause the urine to become very concentrated. This collection of concentrated salts can irritate your bladder and make incontinence worse. It can most commonly cause constipation or bladder irritation. Dreu Adams asserts, “avoiding fluid consumption can make incontinence worse, as drinking less can result in urine that’s more concentrated and more irritating to the bladder”. Severely cutting back on fluids can in some cases result in kidney stones, which can also cause irritation to the bladder. Dr Rosser recommends consuming about two litres of fluid a day, which equates to eight 8-ounce glasses. Studies have shown that seniors who get enough water suffer less constipation, use fewer laxatives have and a lower risk of bladder cancer.We know that dehydration occurs when a person has not consumed enough fluids, however, many people are unsure of what symptoms to look out for. 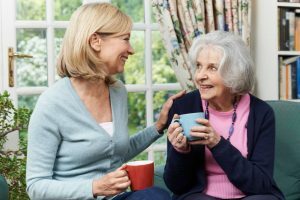 When looking after a senior, it is important to know what symptoms can imply dehydration. To prevent seniors from becoming dehydrated, you need to encourage them to drink fluids throughout the day. You can make this part of their daily routine so it something they become used to. Rather than consuming a large number of fluids all at once, it is more beneficial to drink throughout the day. Do not make seniors only consume “boring” or distasteful fluids. Finding a beverage that they enjoy can make staying hydrated less of a chore. If a senior refuses to drink plain water, there are plenty of modifications and alternatives available. Try using water enhancers, opting for pre-flavoured waters, serving a half water half juice mixture, or fruit-infused water. Certain vegetables, such as celery sticks, cucumber slices and cherry tomatoes can serve as fluid-filled snacks. Creating a schedule for drinking fluids can help seniors to stay on track. For example, get seniors into the habit of having a drink in the morning and one with every meal. Avoiding well-known bladder irritants can also be useful, as they can have a diuretic effect when they are consumed in high quantities. Are you struggling to help a senior who is suffering from incontinence? Read our guide to useful toilet aids for seniors.